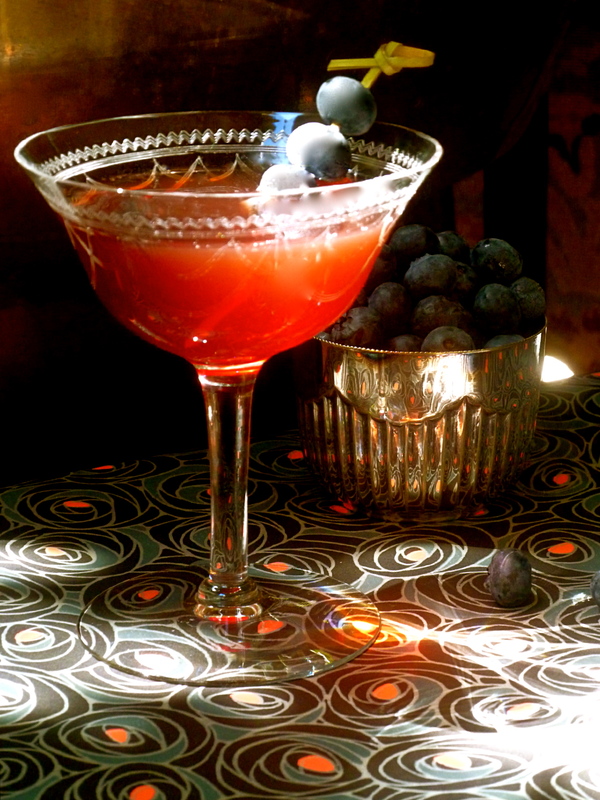 This complex cocktail plays Devils Advocate many times over with rich cherry, molasses and coco found in Zacapa Centenario Rum, that slowly unfolds into hints of blackberry, blueberry – clove spice then lingers with a subtle nutty woodiness from Palo Cortado Sherry. Combine all ingredients into a beaker with ice. Stir well. Fine strain into a chilled rocks glass over ice. Garnish with blueberries or blackberries. Combine all ingredients into a saucepan with a pinch of salt. Bring up to a boil and stir until all of the brown sugar has dissolved. Reduce heat to a simmer, stirring occasionally adding more water as needed. Once all of the fruit is very soft, about half an hour-turn off heat, cover saucepan and let cool. Once the syrup is cooled fine strain it into an airtight container.